Not long after Qualcomm teased a Windows 10 device from Samsung using its latest Snapdragon 850 chipset, a Samsung Galaxy Book that uses the operating system has been disclosed through a Russian Inspection Bureau EEC certificate. First published on June 27, the certificate directly mentions a “Samsung Galaxy Book Windows tablet” and possible model numbers are listed: Samsung SM-W737 and SM-W738 and its variants: SM-W737A SM-W737N SM-W737V SM-W738N, as Dutch website LetsGoDigital reports. Qualcomm and Samsung announced a few weeks prior to this that a Windows device using the chip maker’s latest system-on-a-chip for the platform was in the works. Could this be what they were talking about? So, will it be Intel or Qualcomm inside? 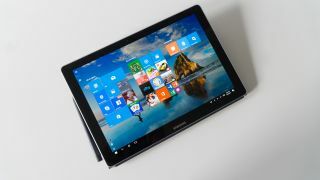 With the Galaxy Book traditionally being a device that is primarily used as a tablet, like most Windows 10 devices that run on Snapdragon hardware, this Galaxy Book may be the tablet device that Qualcomm has been previously talking about. Alternatively, Samsung could go with an Intel CPU, as it has with some of its other Windows tablets and laptops in the past (though likely using a Qualcomm modem for the LTE connectivity, anyway). Of course, the final outcome could be that Samsung delivers both options, much like the HP has done with the Envy x2. If Samsung chooses the latter option, it better be careful so as to not confuse customers. As we all should know by now, most folks out there don’t know their processor from their memory, much less the brand names. At any rate, we'll now be watching the Samsung Galaxy Unpacked event in early August with bated breath.